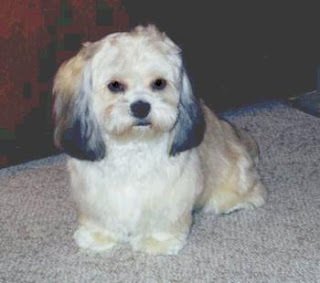 The pekepoo which is also known as Peke_A_Poo came to existence by the crossing of two breeds. Pekingese and Poodle they are usually known as a designer dog but they are not as much popular as the other crosses. The well trained pekepoo is obedient sturdy and well mannered they have a intelligent and lively attitude and expression. They are brave and loyal. The pekepoo dog breed is very confident and love to go outside independently. This breed does not do well if they are left alone for some time. Loneliness and bareness will lead them to be aggressive and destructive in behavior and they will start barking consistently. They are good with older and well mannered children. They do well with other pets and small animals they have been raised with. The Pekepoo are very protective and alert of strangers and can alert their family if they listen to any extra ordinary sound. This breed has a double coat the outer coat is long and profuse the under coat is short and dense. It is essential to make this breed socialized in their early age, this dog breed will not respond to heavy and harsh methods of training. Training of this breed of dogs should be done with fairness patience and calmness, this breed is good for apartment living and are good indoors they enjoy to spend time with family and play with them daily. Brushing is recommended to avoid harsh and dead hair on their body bathing should be done with a mild shampoo when needed, regular dental treatment is needed to prevent a tooth loss. The Pekepoo may be prone to such health issues as PRA, skin problems, diabetes, anemia, ear infections, and heart disease. As a dog owner it is your job to maintain a healthy environment for your pet, look out for signs of any changes in behavior and if you see any signs of problems with your dog take it to a veterinary professional at the earliest to detect any symptoms at early stages.